SOLSTICE will combine marine robotics, Earth observation and ocean models for cost-effective monitoring and predictions in data poor areas. Marine autonomous systems are becoming ever more reliable and easy to use for environmental observations – at a fraction of the cost of a research ship. Earth observation satellites monitor the oceans daily, collecting a wide range of marine data - most are freely available from global archives. Ocean models of increasingly high resolution make it possible to explore regional ecosystem dynamics, gain insights into reasons for variability and change, and deliver predictions to inform policy development, resource management and adaptation to future change. 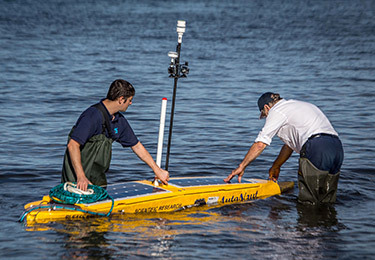 SOLSTICE will demonstrate how these technologies can form the basis for environmental research and monitoring prgrammes to deliver decision support for marine policy development and resource management – whether applied to specific local issues (as in the three case studies) or to wider WIO challenges. The environmental technologies will be complemented by socio-economic and livelihood research tools which are fundamental to understanding and predicting human responses to changes in coupled human-natural systems. 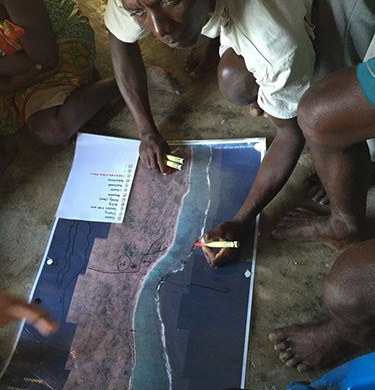 They include the use of household surveys, participatory mapping, and conceptual models to identify patterns of resource use, capture traditional knowledge, and identify existing and potential adaptation options. Novel whole-system models can link key ecosystem processes (productivity, habitat and food web interactions) and livelihood activities (agriculture, fishing, shipping, tourism and conservation), whilst building on existing data sources and new information from the case studies. Whole-system models rely on the PESTLE approach (Political, Economic, Social, Technological, Legal and Environmental). This considers pathways of future changes and stakeholder actions, while focusing on the sustainability of fish provision, consumer demand, and estimates of social, policy and regulatory repercussions of different management strategies.